The Rebel Sweetheart. : Spotlight | Skye Avenue. Whenever I'm not busy watching Korean dramas or spazzing over Kpop music videos, one of my other favorite pastimes is online shopping. For a self-confessed shopaholic, it's the most convenient method of splurging on all sorts of merchandise. And for the more congenial ones (like uhm, me! ), it's also a great way of making new friends online. 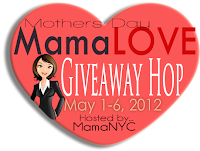 Case in point, Ms. Dee Tan, who agreed to provide my prizes for the Mama Love Giveaway. Ms. Dee is the owner of Skye Avenue - home of authentic and quality slimming products, whitening products, and now, even beauty products. She was more than happy to collaborate with me in this global event, and earlier this week, I received these from her. Both packages were secured in bubble wrap, and had thank-you stickers on them. I opened mine, and here's what I found inside. I dared not open the other package because it's sealed and nicely wrapped as it is. So instead of taking actual photos, I copied these photos from the official websites instead. I can't resist not giving my lovely readers and fellow makeup junkies a glimpse of what they should be looking forward to come May 1. A 3-pack sachet of Ecorre Artist BB Cream. A NYX Round Lipstick in Peach Bellini. A Beauty UK Cosmetics Eyeshadow / Eyeliner Palette in Amazon. 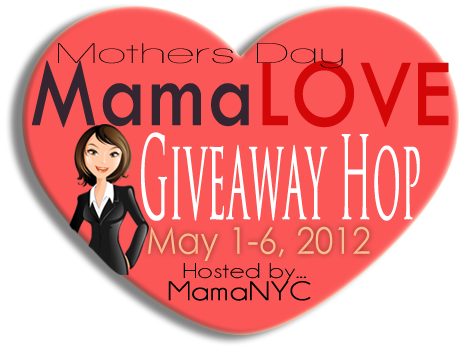 The Mama Love Event will go live from May 1 to May 6, so be sure to come back and enter my giveaway then! Skye Avenue is all over the web! Oh I think that is so nice. Often we hear the bad and it made my day to read about her kindness! I am scared to start a giveaway! It seems so complicated! I am sure it is not, but I am afraid of spending even more time on my computer! More power to you, it looks like a great one! I am scared to host a giveaway because it seems like a ton of work! More power to you. I'm sure I just need to jump in and do it! Great items at stake. I want some makeup! Oooo, looks like pure indulgence! Love when sponsors have such awesome products that we can't wait to share with the world! Oh what a fun giveaway! Makes me want to get dressed up to wear that lipstick! Wow that is really nice of her to send all that to you.. Very sweet. I love shopping and I used to be a very impulsive online shopper.. haha.. Learned to control my spending more though. Since we can get these for free, I'll definitely join your giveaway! :D So exciting! Woooow!!! so nice are those stuff for your giveaway sis! !Specially the NYX lipstick!! So love the color! Would really be joining this giveaway!